The Canon SX730 Camera adds more fun to your travel experience. 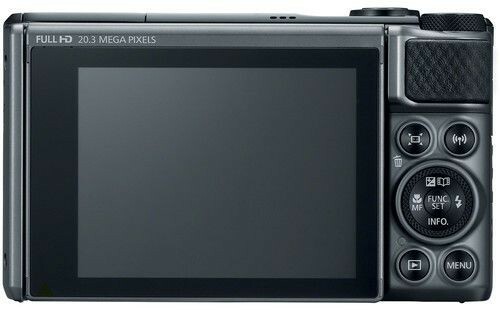 This camera has a powerful 20.3MP resolution that produces crisp, clear pictures with amazing details. 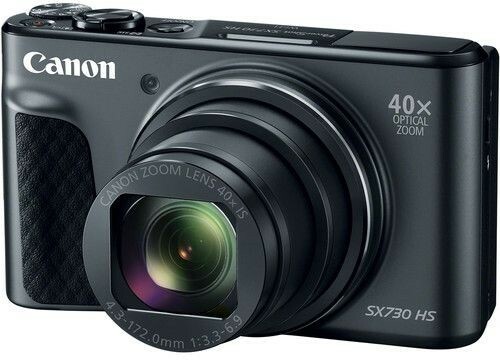 You can carry this camera along on vacation and return with memories recorded in HD. 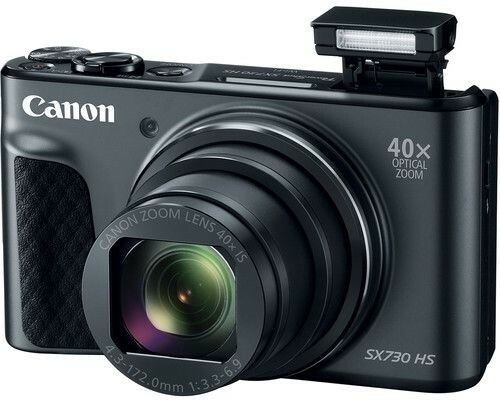 To capture objects that far away, this camera has an outstanding 40x optical zoom capability. The 5-axis Dynamic IS and 60fps motion rate features of this camera guide you to create a movie with excellent visual effects. Thanks to the Bluetooth, WiFi, and NFC technologies embedded into this camera, you can instantly share all the pictures with your family and friends. 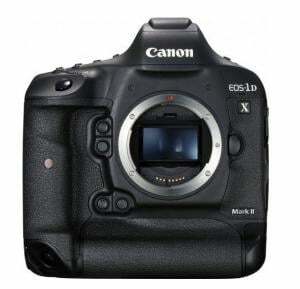 Furthermore, this camera has a stylish build with a sophisticated black finish that always leaves you spellbound. 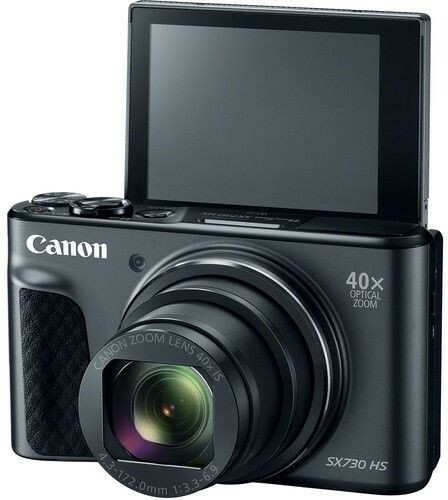 This Canon PowerShot camera is a perfect travel companion. The pocket-friendly design of this camera makes it convenient for you to carry this camera wherever you go. 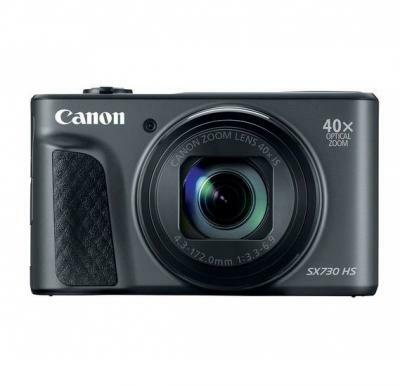 This camera features 40x optical zoom that allows you to capture even distant objects without compromising the image quality. The high-performance image stabilizer renders steady results. 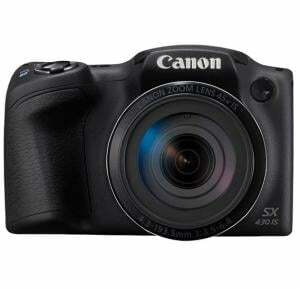 The 20.3MP HS system of this Canon PowerShot digital camera makes every moment of your travel worth your memories. The fast-continuous shooting function of this camera records every detail of your travel tale in rich colors. You can also tilt up the screen to click stunning selfies or for low-angle shooting. 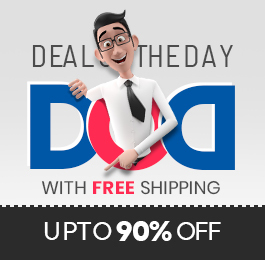 You are just a touch-of-a-button away from making your best move in film-making. The excellent motion rate of 60 fps adds a cinematic effect to the footage. The 5-axis Dynamic IS makes it possible for you to record smooth, steady footage no matter if you are zooming in or recording on the move. This Canon travel camera has fast, efficient Bluetooth connectivity. You can connect this camera to a Bluetooth-enabled device and share the pictures instantly to your friends and family. 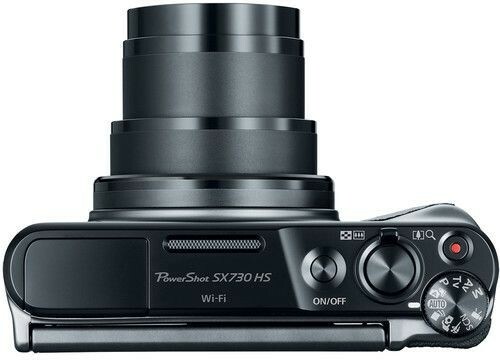 You can also shoot photos remotely using the Bluetooth function. Thanks to the WiFi and NFC technologies, it becomes easy to backup all the photos for safe storage.